First European Roaster Camp? A Great Success! Lukas Zugar is one half of Dos Mundos roastery which he runs together with his wife Adela. 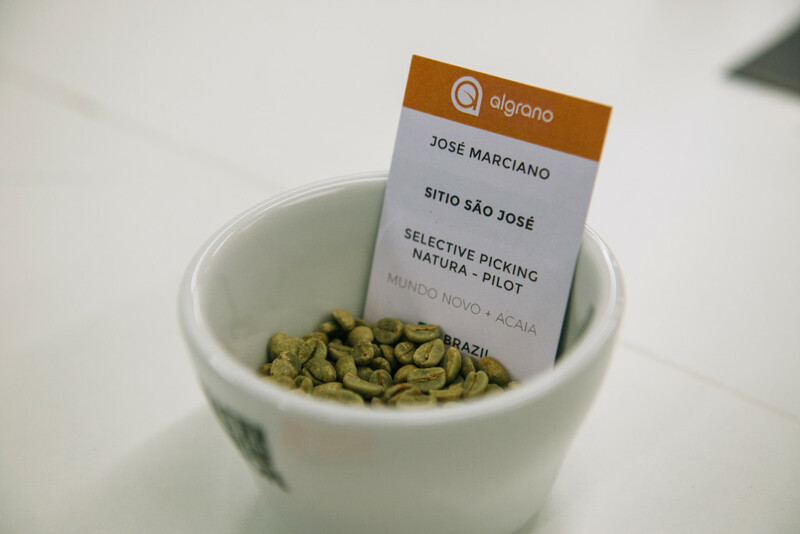 Since 2013 they have been roasting specialty coffee in their roastery in Prague. They have recently opened a new cafe and are becoming busier every day. 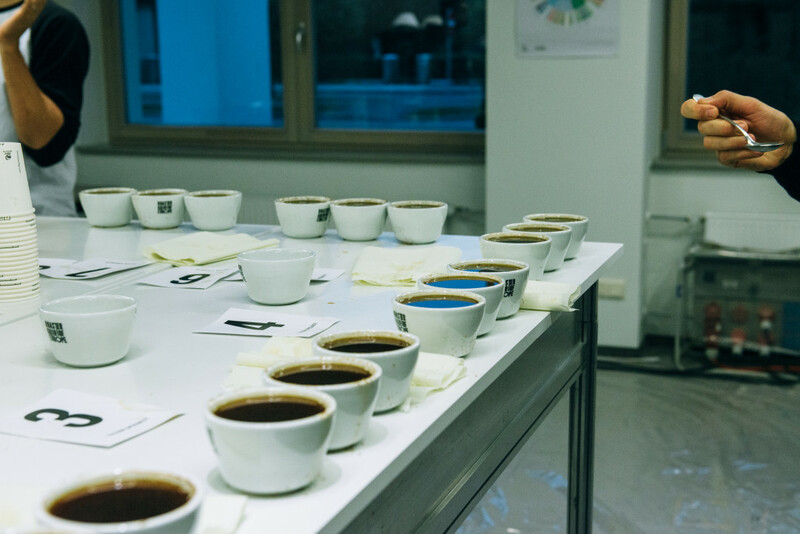 That and other reasons probably led Lukas to participate at the inaugural year of the Roaster Camp. Here is a little recap of the event with Lukas’ first impressions, which are surely tempting enough in case you were considering coming next year as well! 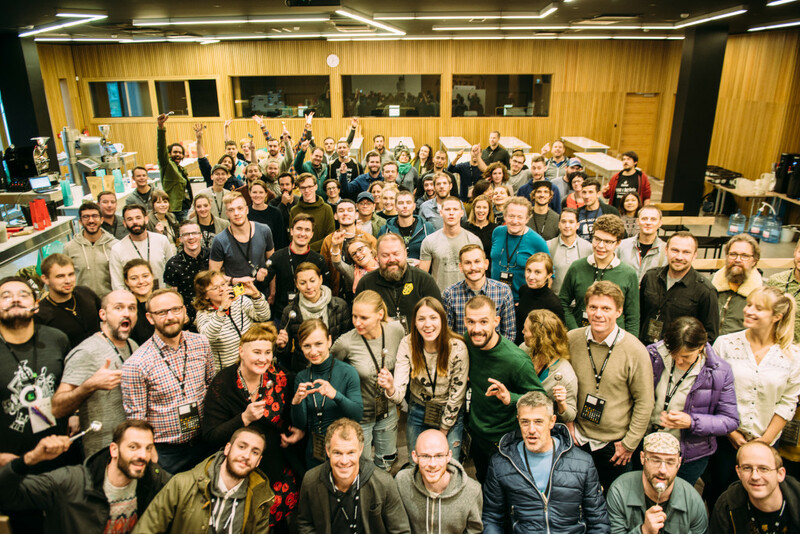 This October, the first ever Roaster Camp brought roasters from around the world to Estonia, where they all came to learn and get inspired. The Camp was organised by the recently formed Roaster Guild of Europe with the aim to deepen the know-how of the current roasting scene, to share the roasting knowledge and push the boundaries of the craft towards a better cooperation within the roasting community, constantly growing the quality all together. The inaugural year was a great success! The interest in the event was overwhelming and all 80 spots at the Camp were taken. The combination of the speakers’ line-up and the splendid surroundings of the Camp are a combination not available anywhere in Europe after all. What were all the treats that Roaster Guild of Europe had prepared for us then? 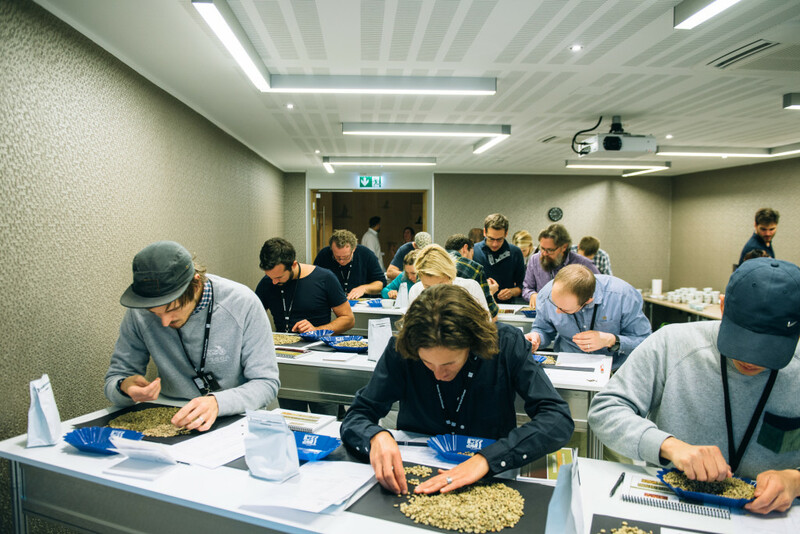 Three days of the full-on programme were filled with workshops, cuppings, discussions, roasting and last, but not least, fun. Everyone who roasts has got to have an access to a roasting machine. And indeed, there was a great number of roasting machines at the Camp. We had several of those available to play with, supplied by Giesen, Loring, Probat, Diedrich and Coffee Tech companies. They all brought their one kilo roasters for everyone to test out. Loring even lent the campers their prototype of a machine to be only launched for sale, which everyone was really grateful for. When was the last time you had a chance to taste five cups of the same coffee roasted on five different machines with a very similar profile? Every camper had a sufficient amount of green coffee to play with thanks to coffee sourcing companies Café Imports, Falcon Coffees, Nordic Approach and Panama Varietals. On top of that, Algrano also organised a Skype discussion with one of their farmers, with whom the company has established a direct trade relationship. 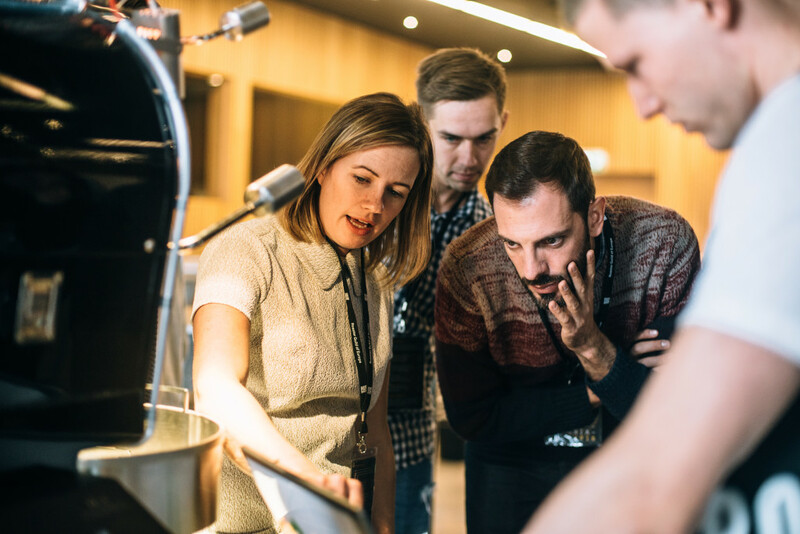 Steve Leighton, the owner of Has Bean roastery (UK) and a co-owner of 3fe (Ireland) and Drop (Sweden) roasteries, Patrik Rolf Karlsson, owner of April Coffee (Denmark), Joanna Alm of Drop Coffee and other coffee gurus came to share their stories and experience with us. We saw roasting approaches and profiles of several roasters with their accompanying commentary and, most of the times also with a taste afterwards. 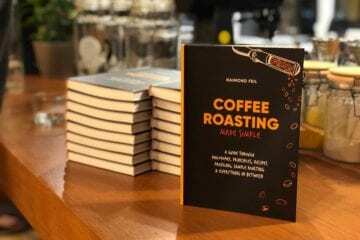 We compared what works well and what does not, and we tried to roast coffee based on their roasting curves. We used similar roast profiles on different machines, as well as tried to roast the same coffee with diverse approaches. 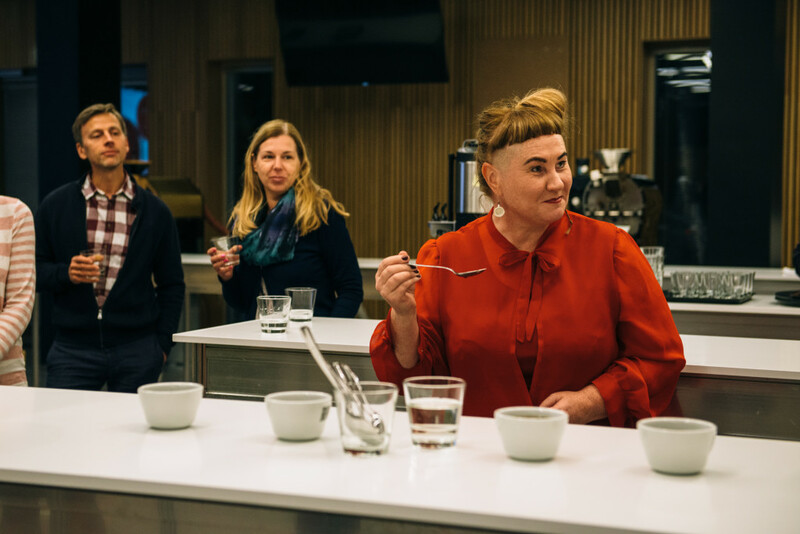 Joanna Alm gave a four hour workshop in which she demonstrated roasting profiles of different coffees as she logged them into Cropster [an online system for data management used by roasters] with their resulting cupping scores. 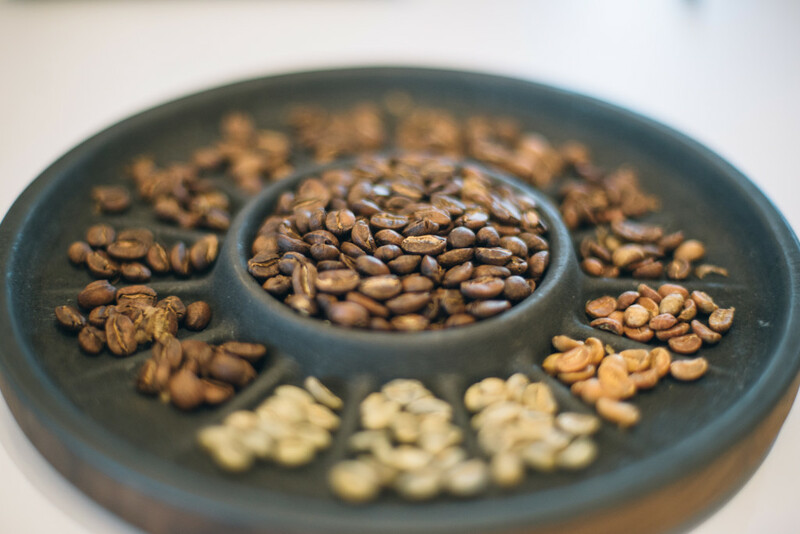 The roasters simply shared their know-how with everyone, and not just about roasting itself! The topics were diverse and we talked, among other topics, about ergonomics of production, coffee trade ethics and discussed the winning techniques of the World Roaster Championships. Doing a little math every evening I counted about 60 different coffee samples tasted daily. 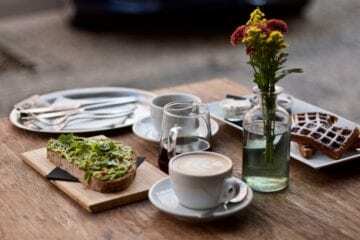 Most of them would be cupped on a cupping table, but there were also coffees from several roasters in Europe brewed as a batch brew, or as a DIY espresso brewed on a Black Eagle coffee machine. Every cupping had a special range of coffees. One table showcased 8 Geishas from Panama, another one had coffees from Myanmar, 28 samples of a Kenyan coffee roasted on 4 different machines by Talor Brown of Talor & Jorgen in Norway, or fresh crops from Burundi and Rwanda. Everyone found their tasty cup here thanks to the green coffee importers, who did an amazing job supplying the campers with beans. 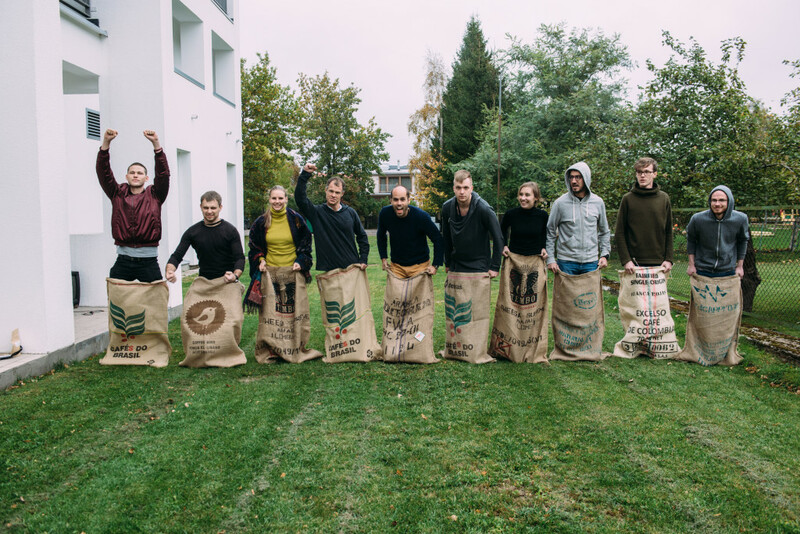 There were about 80 roasters and 20 people of the organisers’ team spending three days together in Parnu. We all were pretty excited to be there and had a great time! The main programme was obviously not the only time we hanged out, we got to discuss coffee and more until late hours. The hotel staff had to hush us out of their bar every evening, forcing us to finish our late night discussions. 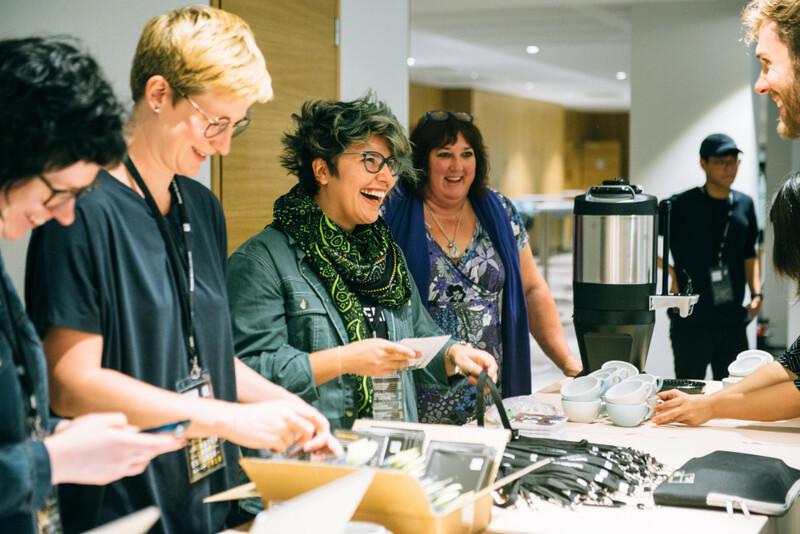 I have met a great number of amazing people at the Camp and I am happy to say that wherever I may go in Europe it is most likely I meet a familiar face from the coffee industry there. 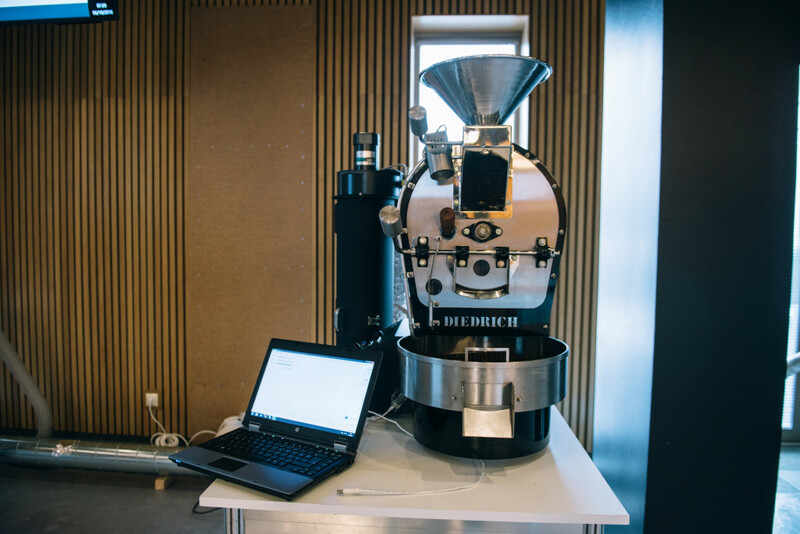 Thanks to the interactive workshops and group tasks we kept on meeting new people until the end of the Camp, and now the invites for a roastery visit range from Portugal to Sweden. And those contacts are very valuable! No matter the end of the Camp and everyone going their way, there was still seven of us meeting in Riga for a beer before flying home. Visions for the next edition? Next year’s Camp? I am definitely in! It was an incredible experience that gave me plenty of motivation, not to mention I know to whom to reach out for a piece of advice. 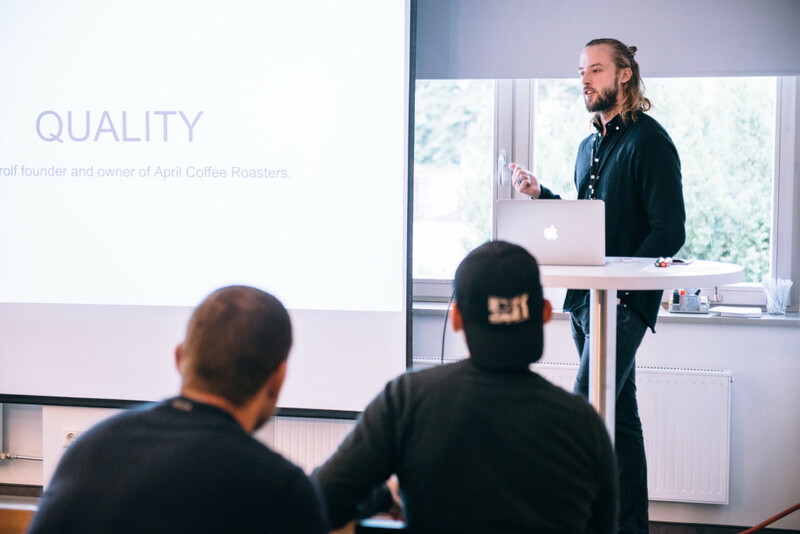 Know-how of what approach to apply to achieve certain flavour profile in different coffees was shared plentifully, as well as other knowledge exchanged throughout the talks and group sessions on and off classes. The roasting curves were shared and explained by roasters, which is not a usual practice, but rather a protected secret by many. Judging by the final speech by Sonja Grant, Chair of the Roaster Guild of Europe Working Group and a Regional Coordinator for SCAE, the next Camp might be even more packed with knowledge and learning. As with every other new thing on the market the Guild did not know what the attendance would eventually be, hence kept the program interesting enough, yet with many other options to add in the next edition. This is obviously great news! The surroundings and the hotel itself were the perfect setting for the Camp, with delicious food and a luxurious accomodation. And who could forget about the spa! Did I get you tempted enough to come next year as well? Lukas Zugar is the roaster at Dos Mundos in Prague, you can visit the roastery, or their cafe in Prague 7.